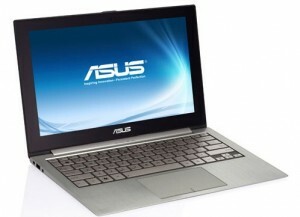 Meet the "Zenbooks" - First Asus Ultrabook Series ! 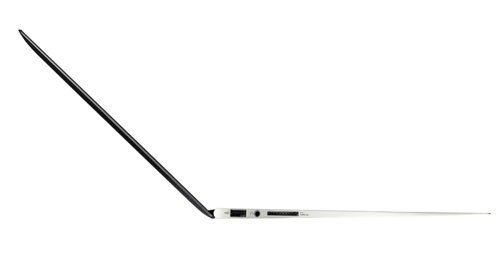 As most probably knows, the term, “Ultrabook” was invented by Intel. According to Intel the idea is quite simple. In simple terms, an Ultrabook is a highly portable computer that’s designed for being as light as possible (including a thin profile which should be less than an inch thick! ), still retaining good performance, somewhat a longer battery life, but most importantly it should has a price tag below $1000. As a result an Ultrabook usually comes with integrated graphics and CULV (consumer ultra-low voltage) processor and probably a SSD drive for maximum performance and battery life. Although it’s actually Apple who first invented (with the Mac Book Air of course) but until they come up with the “Air model” that costs about $999, according to Intel standard, they weren’t considered as “Ultrabooks”, apart from the looks and the performance. Anyhow, recently we saw that almost all the popular manufactures came up with an Ultrabook of their own and Asus was one of the earliest to claim their model which was called UX21 back then. Although they haven’t changed the product name but instead of the standard Ultrabook name… they’ve chosen to call them “Zenbooks” instead. Few hours ago they actually launched the product! thus now you purchase them, finally. The Zenbooks series come with two basic models, the UX21 that has an 11.6 inch screen (costs about $999) and the UX31 that has a bigger 13.3 inch screen. Although I’m not entirely sure about the high PPI (pixels per inch) is a good thing since I recently purchased a netbook that also came with an 11.6 inch screen with 1366×768 resolution, and I gotta tell you that while browsing the Web… some website text did look too small and cause some eye strain (I decided to sell it). I personally like the 13.3 inch screens with 1366×768 which doesn’t cause any strain problems … but this is highly a personal preference nonetheless. But remember, if you even think that the PPI is too high in the 11.6 inch screen and then UX31 that has a 13.3 inch would be the one to go for, well it won’t do any good either since it too has a big resolution of 1600×900 which in comparison has an even higher PPI than the 11.6 inch screen when calculated. Other than that, they both come with either Core i3/5 or 7 series of processors, 64-256 GB of SSD drives, non up gradable 4GB of DDR3 memory, UX21 weights about 2.4 pounds while the UX31 is about 2.9 pounds (extremely light weight, both of them). They say the batter life is about 7 hours for the 11 inch models and 5+ for the 13 incher which is pretty decent concerning their processor and performance. If you want more information, then go to this official UX21 page and UX31 page for more.